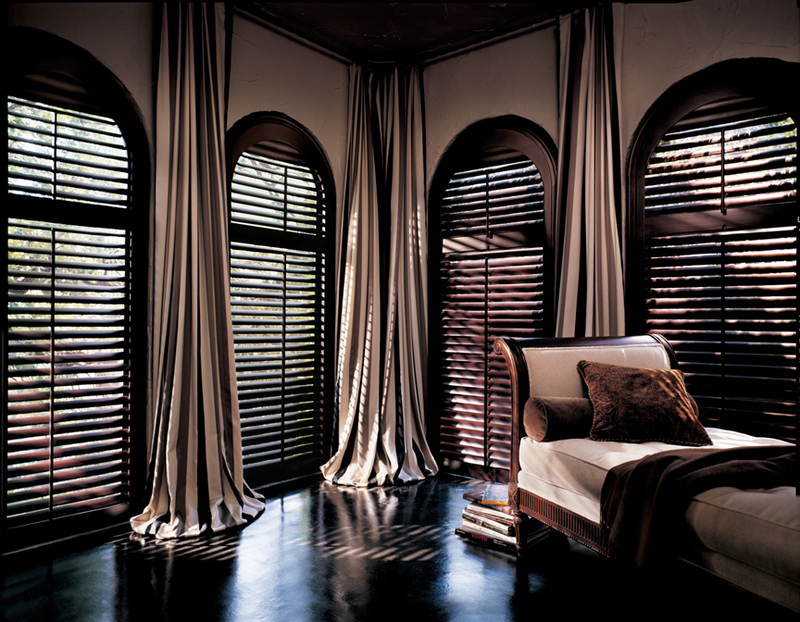 There is a vast array of window treatment options, from shades to drapes and shutters to cornices. Window treatments are an important factor in decorating a room. 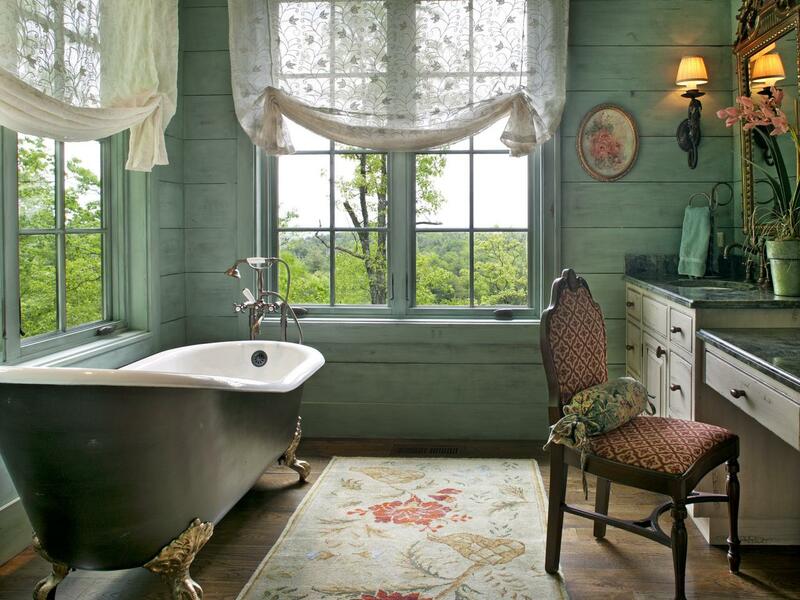 Selecting the right way to decorate your windows is like choosing shoes to go along with an outfit. 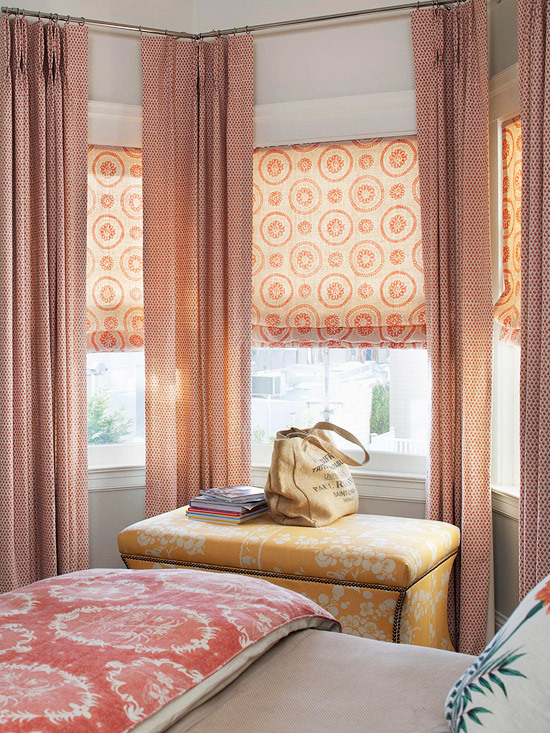 Here are a few tried and true window treatment ideas to help you. One of the most versatile and steadfast styles of window treatment is shades. 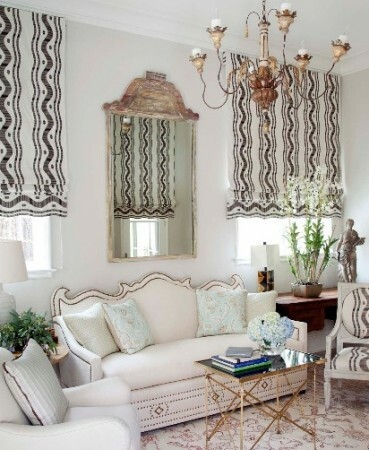 There are roman shades and balloon shades. 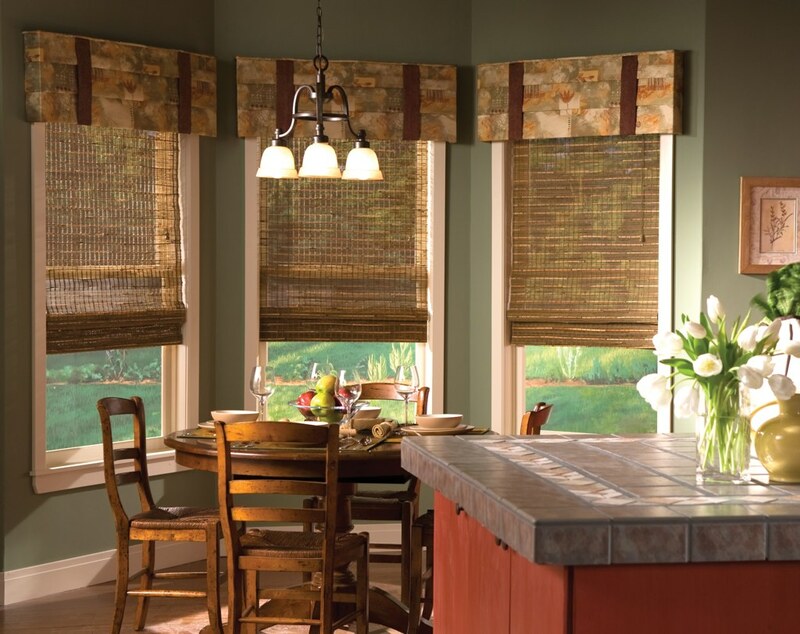 Roman shades provide privacy in a simple, elegant style. Pleated style roman shades are operated with a pull cord and fashion into pleats. 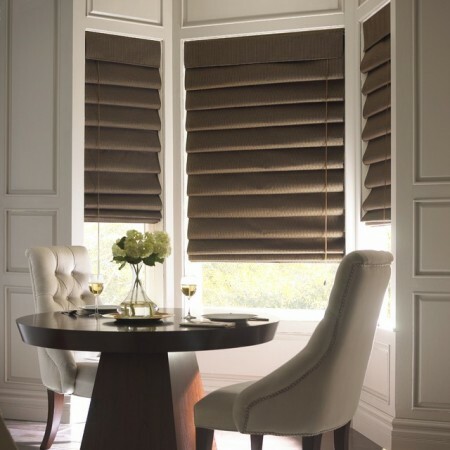 Tie roman shades work by simply tying them at the desired length. Roman shades are versatile and can fit into any design style. 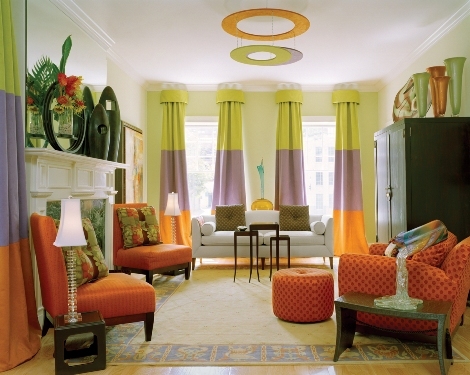 Balloon shades are fuller and more elaborate in appearance. 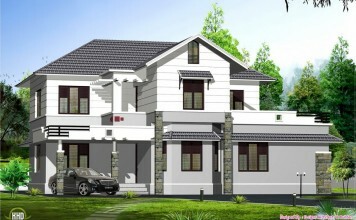 This style fits well into more traditional interiors. 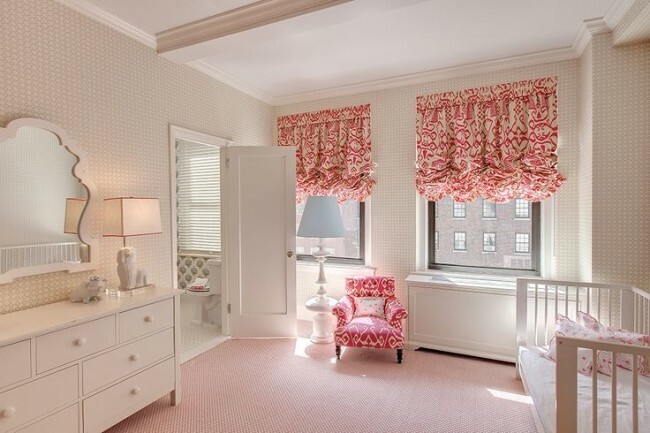 Balloon shades are soft and more feminine in style. 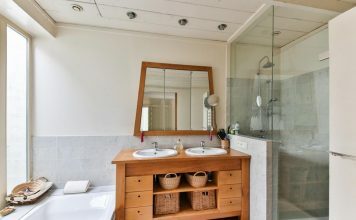 They work well in bathrooms, nurseries and in cottage style interiors. 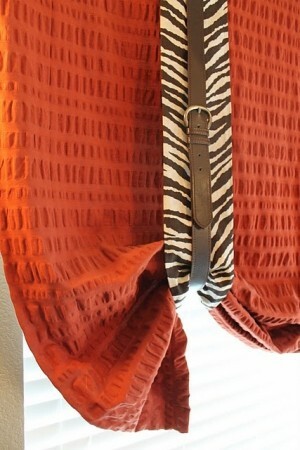 Another popular window treatment style is drapes. 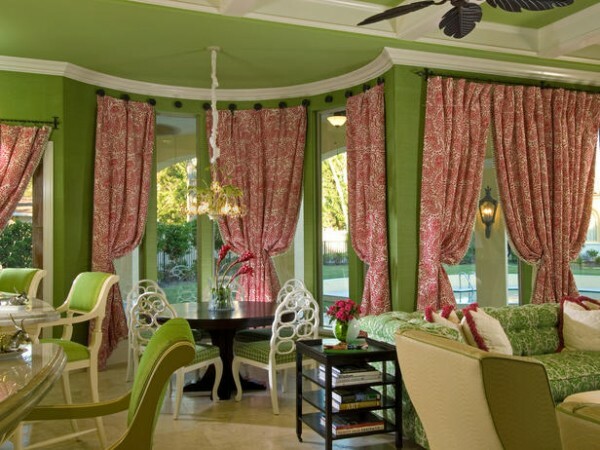 Drapes can be used alone or with shades or blinds to enhance the fullness and depth of the window treatment. 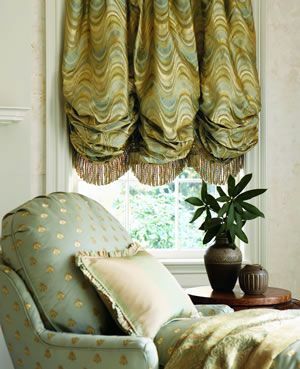 Drapes are generally used as stationary elements with shades and blinds just to complete a window look. 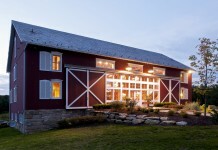 Shutters are a classic option and most popular in farmhouse or cottage designs. 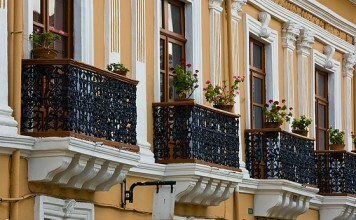 They have charm and character, as well as being very functional for light control. 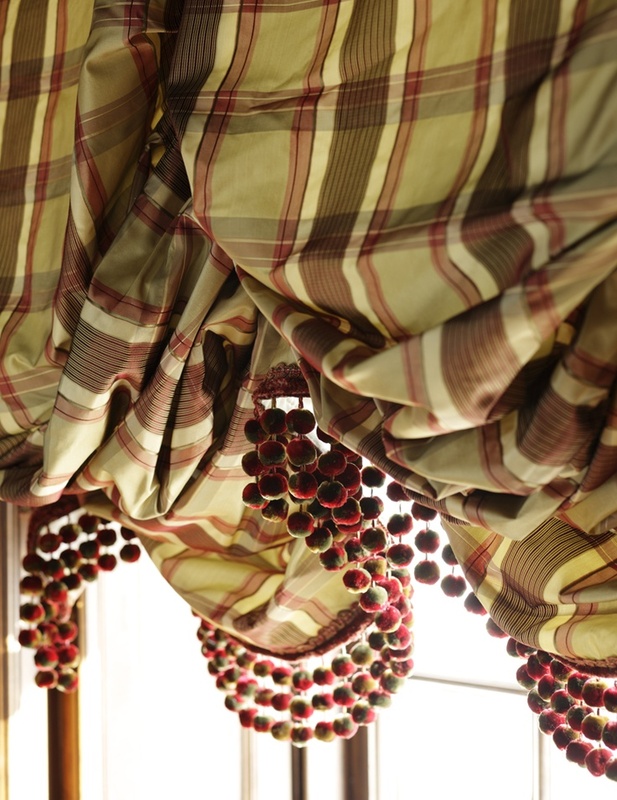 They can be topped with a valance or double-hung at a window. 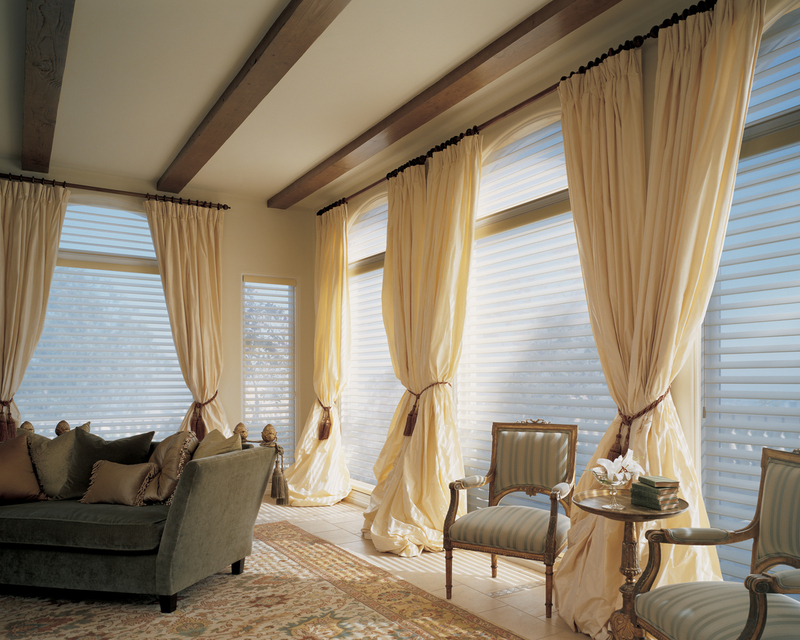 Top treatments, such as valances and cornices, enhance the overall look of a window treatment. 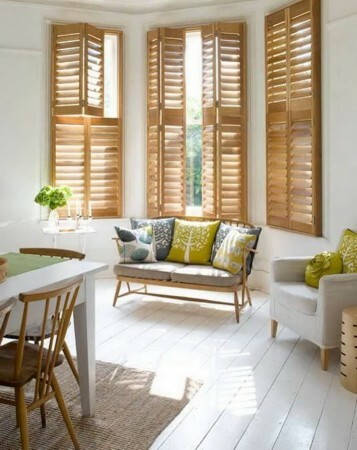 They can be used alone or with curtain panels, shades or blinds. 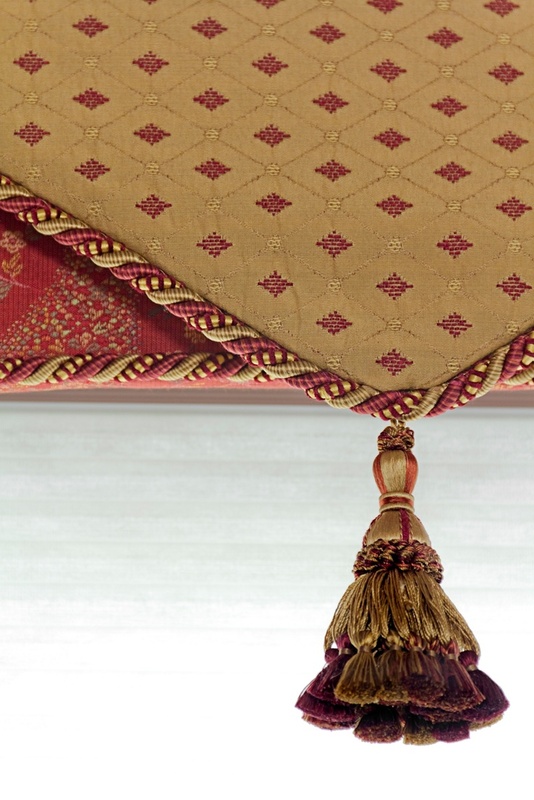 Fringe, tassels and edging are embellishments that can add another dimension to window treatments. They are like the jewelry of an outfit, providing a finishing touch. Trims can raise the elegance factor of a window treatment, making them stand out more. 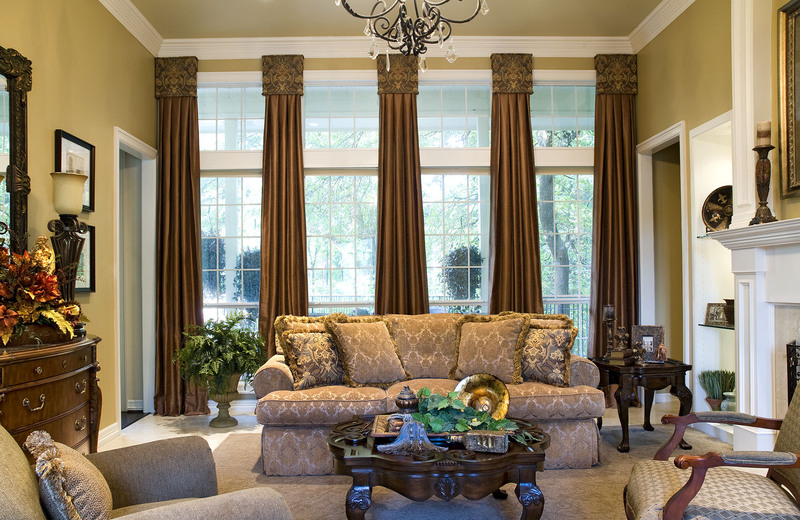 When selecting the window treatment for a room, use fabrics that coordinate with the upholstery and rugs. You can create a bold statement by using contrasting fabrics on the window treatments. 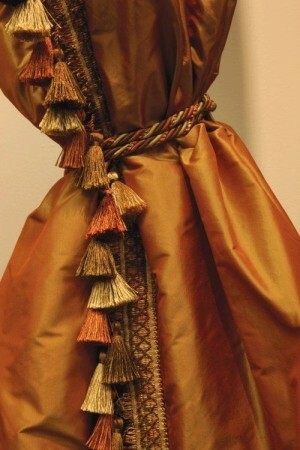 Check scale as well when choosing fabrics. 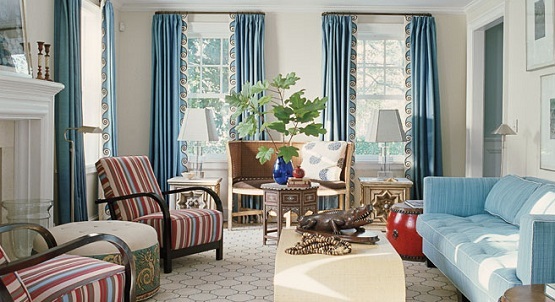 If other patterns in the room are large, go for a smaller scale pattern for the window fabric. Window treatments give a certain completion to a room. 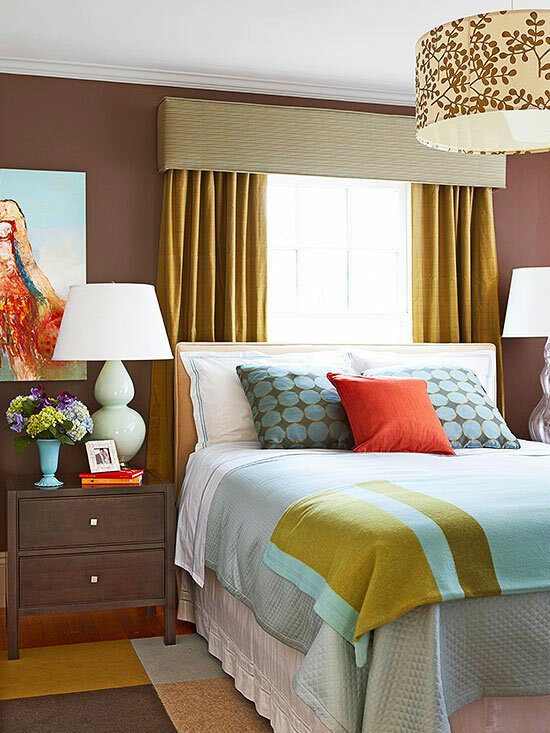 They add depth, color and softness to an interior. 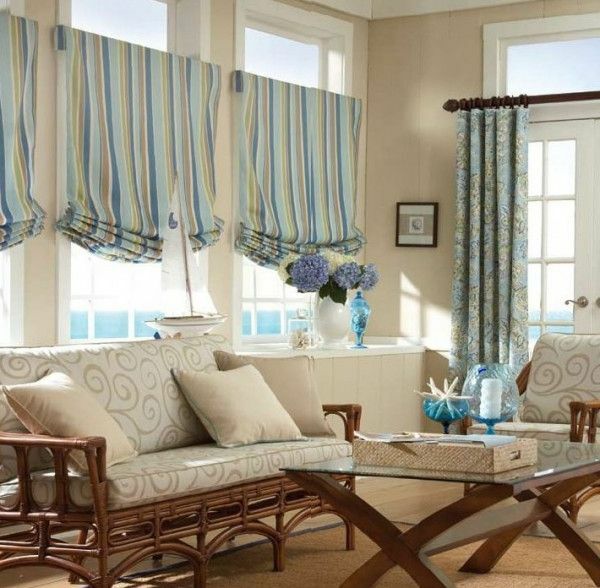 You can select sleek and modern designs of shades and drapes or create more elaborate window treatments by layering shades, drapes and top treatments. The right window treatment can really make the difference in a room.